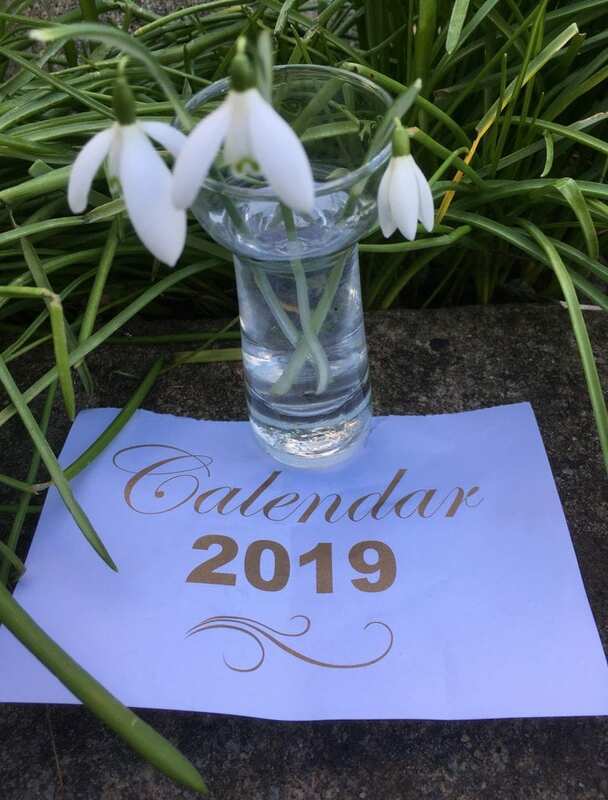 On New Year’s Day, 2019, I went up to the house to feed our stray cat and came home with three snowdrop flowers. Such a mild start to 2019, I’m sure you’ll agree, but snowdrops flowering on January 1st? Spring is definitely about two or three weeks ahead of this time last year. It begs the question – how long will it last? Snowdrops on 1st January 2019! Mother Nature has a habit of changing mild winter weather just in time to check early growth. I was looking back on last year’s garden journal and I read that by mid-January 2018, there had already been several days when the temperature was well below zero and the ground frozen solid. There was also a fair amount of snow though I don’t remember that being a problem. It’s funny how easily we forget normal seasonal weather and yet we all remember ‘the Beast from the East’in early March 2018, when the bitter chill set in for a week or more and we had substantial snow. Who lives in woodland like this! It’s important that we build up a picture of exactly what animals and plants we have in the grounds of Bannockburn House and so we’re grateful to Katherine from Plean Country Park Rangers who installed a couple of wildlife cameras in the woodland parts of the Estate over the quiet Christmas period. We probably could have guessed the results, but she confirmed last week that we have lots of rabbits, foxes and roe deer. Should it snow we will be able to track their footprints and work out some of their movements across the Estate. We have made a start on removing some of the large, overgrown clumps of wild lilac rhododendron that are colonising sections of the rear garden. It is tempting to remove everything, but we have decided to keep a small amount to act as a wind break for the time being and we shall have to leave some of the other clumps until flowering time to ensure that we don’t remove any of the ‘proper’rhododendrons. In the meantime, we can give them a much-needed trim and that will allow them to put all their energy into the flower buds which are already swelling. Last weekend while I was doing some weeding, I could hear occasional sounds of geese nearby. I love to watch them fly over and try to count the number in the group but despite searching the skies each time, I could not see them anywhere. Frustratingly, the noises continued and if anything were increasing so, succumbing to curiosity I followed the sounds. As I approached the garden wall it was definitely getting louder and then I saw them. About two fields away, there must have been about four hundred geese feeding on the grass. They had been arriving in small clusters and were all accumulating on this grassy slope in the afternoon sunshine. I watched them for a while before deciding to get closer. This was not a brilliant idea since I was wearing a bright blue fleece. However, I skirted along the garden wall, out throughout the derelict gateway into our east field and crossed over to the woodland edge. All the time, small family groups of geese were flying in and after a little bit of juggling and some wing flapping, somehow or other, they all moved about a bit and accommodated the newcomers. Every now and again I stopped behind a tree, got the camera ready, then realised I would need to get closer still. I went through a dense patch of woodland and came to the edge only a short distance from the geese. It was an amazing sight. I hardly dared to breathe in case I disturbed them but all the time I was itching to get a photograph. Some more geese flew in quacking and again they all jostled for space. Some were feeding, some were preening, some were flapping wings and others were just waddling about. Realising my chance, I stepped out slowly from behind the tree, and carefully raising my camera to get the shot of a lifetime, watched in utter astonishment as with one movement, the entire grass disappeared as wings spread with a swoosh of goose feathers and like a brown shadow they slowly and majestically rose into the air, wheeled around in a low circle and were gone! I guess it was the bright blue fleece that had scuppered my photography career in its infancy but nevertheless it was a sight and sound I shall never forget, and I have a blurred photo of some blobby brown and grey shapes to remind me. Speaking to a colleague a week or so later, it seems that he had been driving along the nearby motorway at the very time when a massive flock of low-flying geese flew across from our land heading south. What a coincidence! These pink-footed geese may be winter visitors but nearer home, don’t forget our small garden birds. 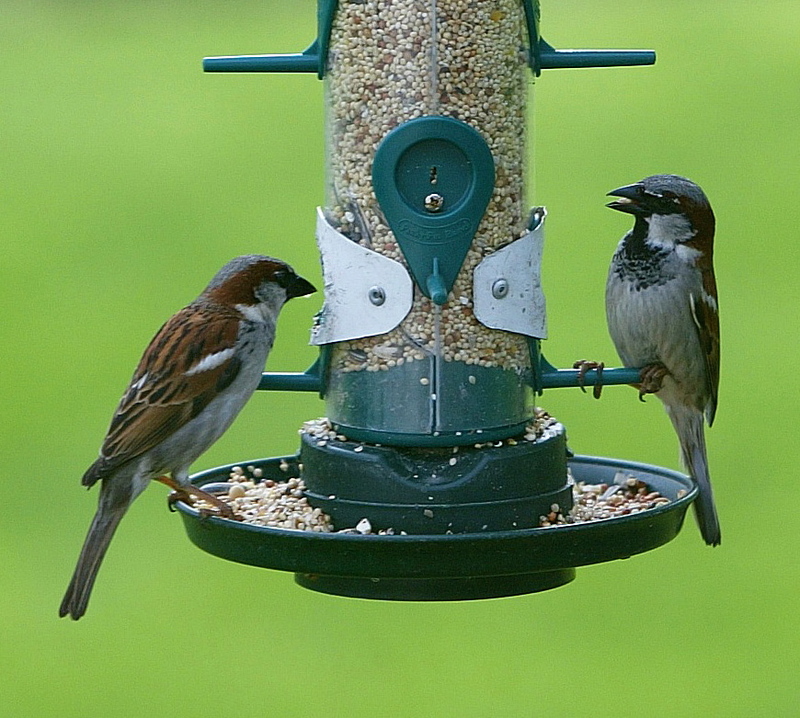 They rely on titbits and feeding stations to help them get through the cold months so even if it seems mild, remember to keep them topped up. A few fat balls and coconut feeders placed on a bird table or branch near a window will bring you endless entertainment watching the birds flutter and fidget around the feast. Did you take part in the RSPB Big Birdwatch on the 26th -28th of January? The aim is to have as many households as possible to record the birds in their gardens so that we can monitor trends and build up a picture of how birds are doing. 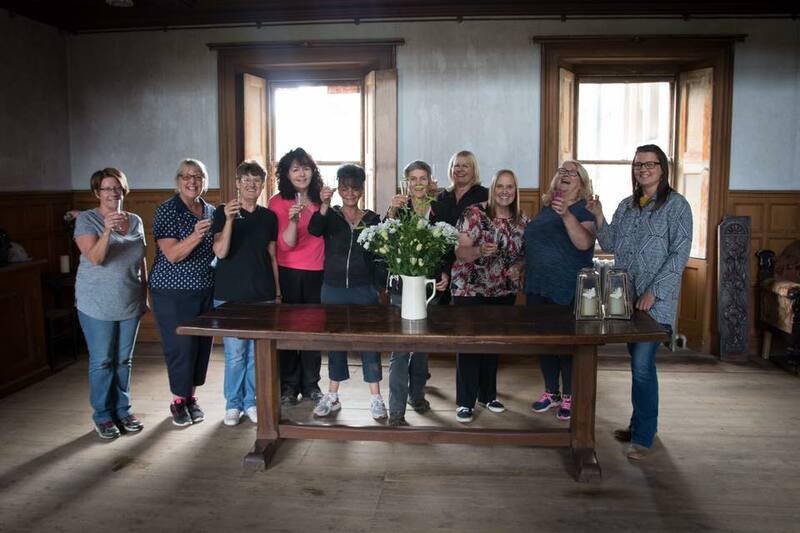 Previous story Bannockburn House & its links with Stan Laurel . . .